Anthony Bennett was so bad that he only lasted four seasons in the league. Some draft busts were productive, found a niche, or at least lasted a while. None of these can be said of Anthony Bennett who was out of the league after four seasons. Anthony was projected to be a player similar to Larry Johnson as they came from the same school. UNLV, and were both undersized power forwards. His numbers at UNLV were not eye-popping but were solid nevertheless. He averaged 16.1 PPG, 8.1 RPG, and 1.2 BPG in his lone season as a Runnin' Rebel. The Cleveland Cavaliers picked him with the first pick of the 2013 NBA Draft. He was picked over more notable players such as Victor Oladipo, Otto Porter Jr., Steven Adams, Giannis Antetokounmpo, Dennis Schroeder, Tim Hardaway Jr., and Rudy Gobert. While it is understandable for rookies to undergo an adjustment period before they can find their footing, Anthony was mediocre from the get-go and never really improved enough to be a viable player in the league. His rookie season with Cleveland was disastrous. He had a below average shooting percentage. He had a difficult time scoring whether it be from close range or from deep. 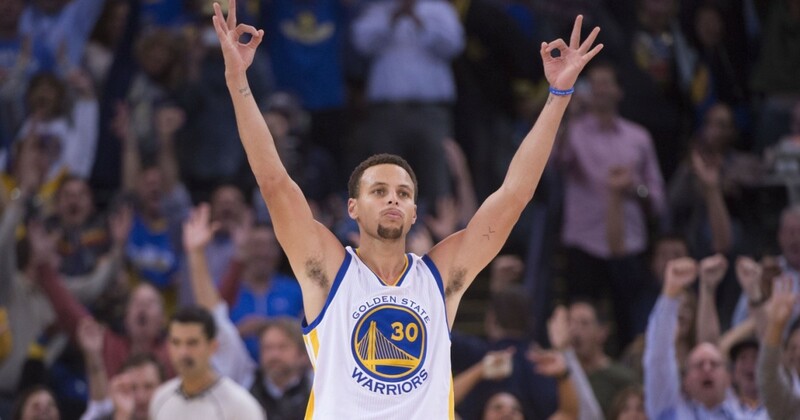 4.2 PPG, 3.0 RPG, 0.3 APG, 0.2 BPG, and 0.4 SPG was all that he could muster. Bennett was so bad that it took him 33 games before he scored double figures. 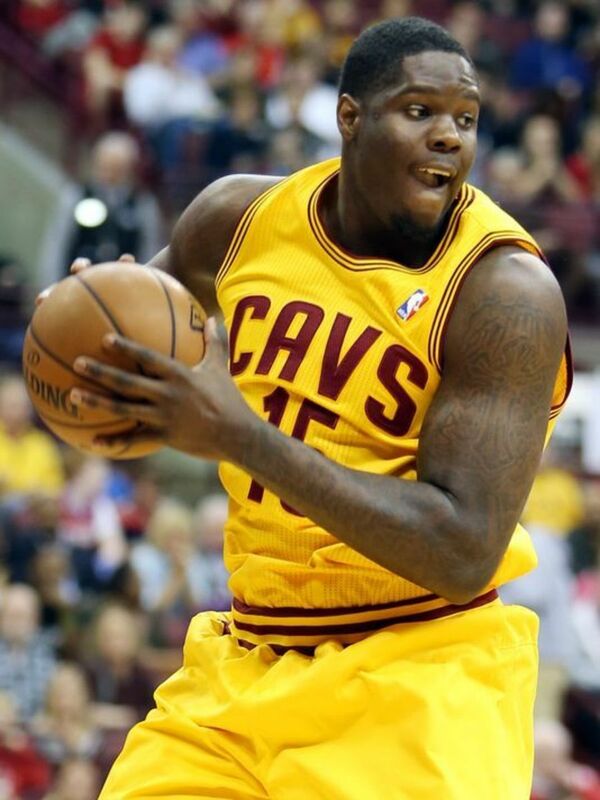 Cleveland gave up on the Anthony Bennett experiment after a single season and decided to cut their losses. They shipped Anthony Bennett together with Andrew Wiggins to Minnesota as part of the Kevin Love trade. A change of environment did not change Bennett's fortunes. He only scored 5.2 PPG on a 42.1% shooting clip despite the increased playing time. In the meantime, his fellow number one pick Andrew Wiggins flourished in his new surroundings. Minnesota pulled the plug on September 23, 2015, and waived Bennett. A few days after he was waived by the Timberwolves, his hometown team, the Toronto Raptors, decided to give Anthony a shot. Anthony was sent to the Raptors' D-League affiliate, the Raptors 905, upon his request. Thus he became the first number one pick to be sent to the D-League. The next season, Bennett signed with the Brooklyn Nets. He went back and forth with the main team and their D-League affiliate - the Long Island Nets. With Anthony still having limited productivity, the Nets cut ties with him midway through the season. Anthony then had a short stint in Europe, a month-long stint with the Phoenix Suns and another stint with the G-League (formerly the D-League). This time it was with the Northern Arizona Suns. He was then traded soon after to the Maine Red Claws. With a lesser degree of competition, Bennett was able to produce decent numbers—13.9 PPG and 6.5 RPG with a 48.4% shooting clip. Only in his twenties, only time will tell if Bennett will ever develop enough to be a quality player in the NBA. 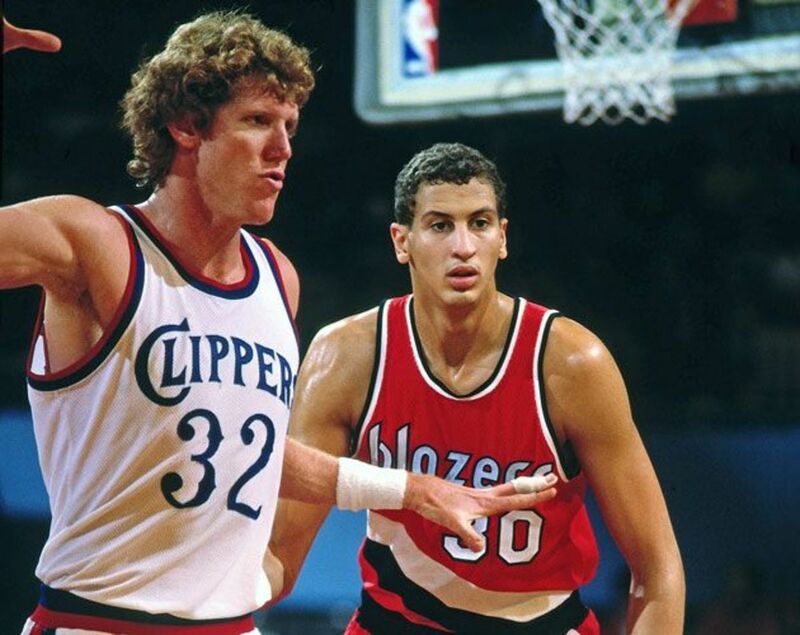 Sam Bowie jockeys for position with hall-of-famer Bill Walton. Sam Bowie had the unfortunate distinction of being picked right before Michael Jordan in the loaded 1984 NBA Draft. Whatever Sam did in his career will always play second fiddle to the thought of having a back-court of Clyde Drexler and Michael Jordan in the Portland Trailblazers. Blazers fans will only think of the lost opportunity that they had. Imagine how many championships Portland would have gotten with Clyde and Michael. Alas, this was not meant to be. Portland never won an NBA Championship after failing to draft Michael. 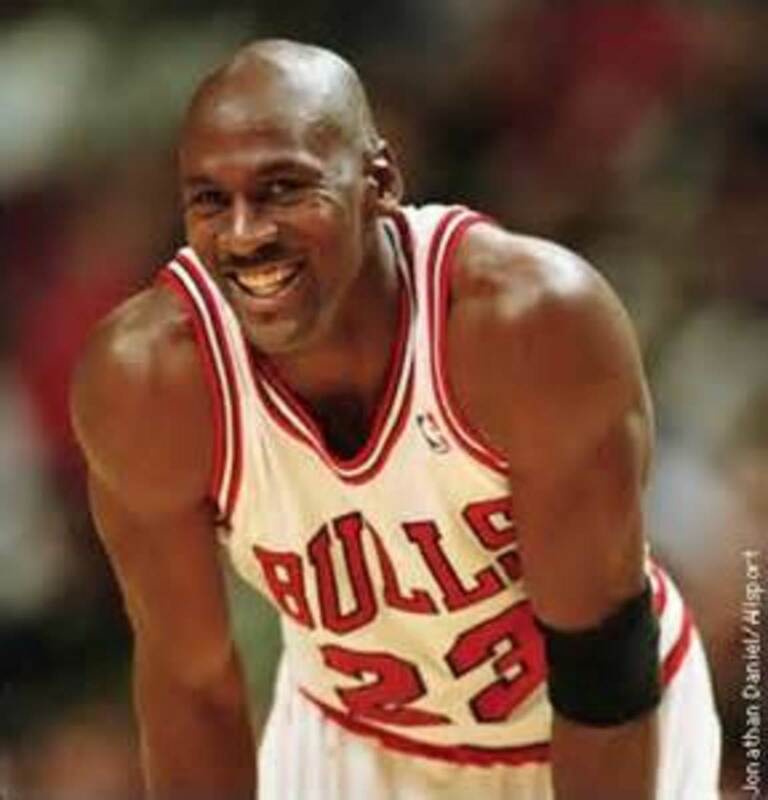 In fact, it was the same Michael Jordan that would cost them the championship several years later. While Bowie was not an unskilled player and demonstrated promise during the times he could actually play, his issue was a long list of injuries. Time and time again, Bowie would be carried off in a stretcher - an all too familiar sight among Blazer fans. It did not start this way, however, as Bowie had a decent rookie campaign. He averaged 10 PPG, 8.6 RPG, and 2.7 BPG. He showed promise as an inside scorer and a rim protector. The next three seasons were a disaster as he played in a combined 63 games. Bowie was good when healthy, but he was rarely healthy. After four years, the Blazers traded Bowie and a first rounder for a more reliable big man in Buck Williams. Bowie would have much healthier seasons in New Jersey and even played 79 games at one point. He even averaged a double-double with 14.7 PPG and 10.1 RPG in his inaugural season with the Nets. After four productive seasons with the Nets, Bowie was traded for Benoit Benjamin and a second round pick. The trade seemed like a good deal for the Lakers as Bowie seemed to have placed his injury-riddled past behind him. Alas, his injuries resurfaced again, and Bowie only played 92 games for the purple and gold. Bowie decided to call it quits after two years with the Lakers and retired after that. 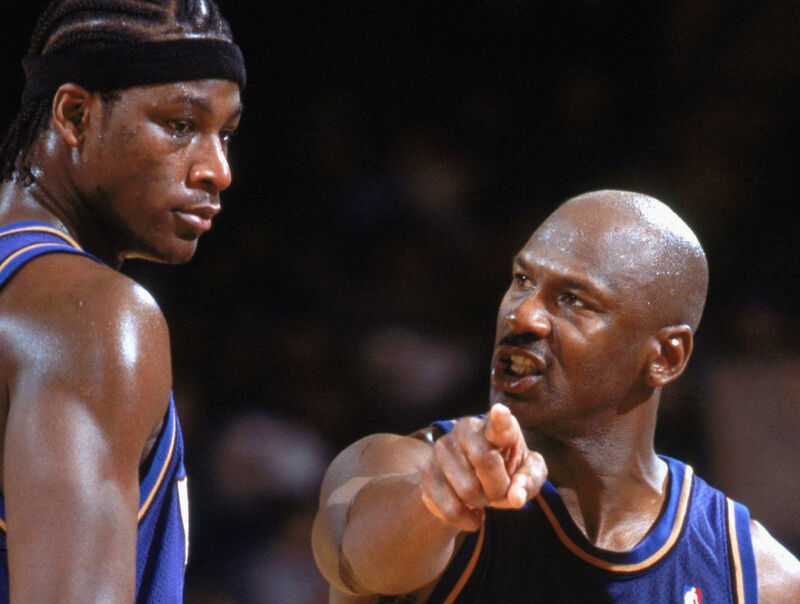 Michael Jordan gives instructions to Kwame Brown. Kwame Brown was a historical pick by all accounts. He was the first high school prospect to go number one in the draft, and he was the pick of the greatest player of all time: Michael Jordan. Expectations were high for the high school star out of Glynn Academy. 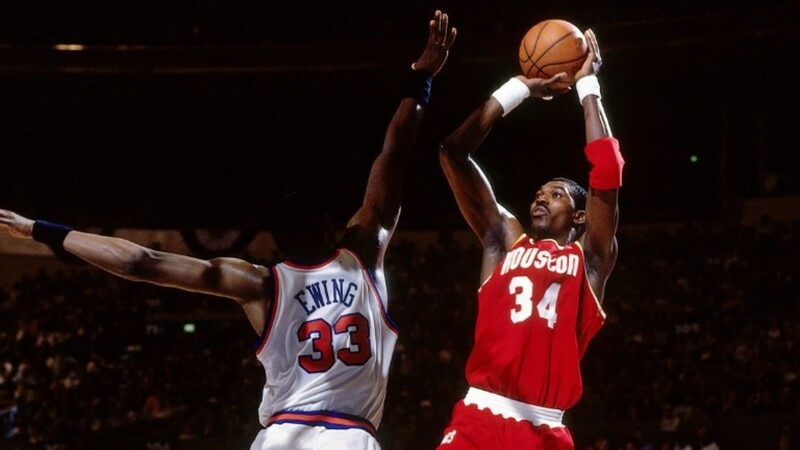 He developed a reputation as a rebounder and shot-blocker in the Georgia-based school, and Michael hoped this would translate to the NBA. Brown's debut season in the league was a disappointment. He averaged a mere 4.5 PPG, 3.5 RPG, and .5 BPG. This was a far cry from the gaudy numbers he posted in high school. After four years in Washington, Brown was becoming a cancer in the locker room. He was feuding with his coach Eddie Jordan and his teammates. They then shipped him and Laron Profit to the Lakers for Caron Butler and Chucky Atkins. The trade was a big win for Washington as Butler became part of a big three along with Gilbert Arenas and Antawn Jamison. Brown, meanwhile spent three seasons in L.A. and was the subject of ridicule from the media especially from notable ESPN anchor Stephen A. Smith. Smith would often criticize Kwame for being mediocre. Kwame spent three years in the purple and gold before being shipped to Memphis in the Pau Gasol trade. Stephen A would then repeatedly mention on air how the Lakers trading Kwame Brown for Pau Gasol was essentially highway robbery. The rest of Kwame's career saw him becoming a journeyman. He played in Detroit, Charlotte, Golden State, and Philadelphia. No team signed him after that and in 2017, he became part of the 3 Headed Monsters of the Big3 league. There, he teamed with Rashard Lewis, Eddie Basden, Mahmoud Abdul-Rauf, Kareem Rush and Hakim Warrick to reach the league finals where they were eventually trounced by the Trilogy led by Kenyon Martin. Michael Olowokandi was the number one pick in the 2008 NBA Draft. 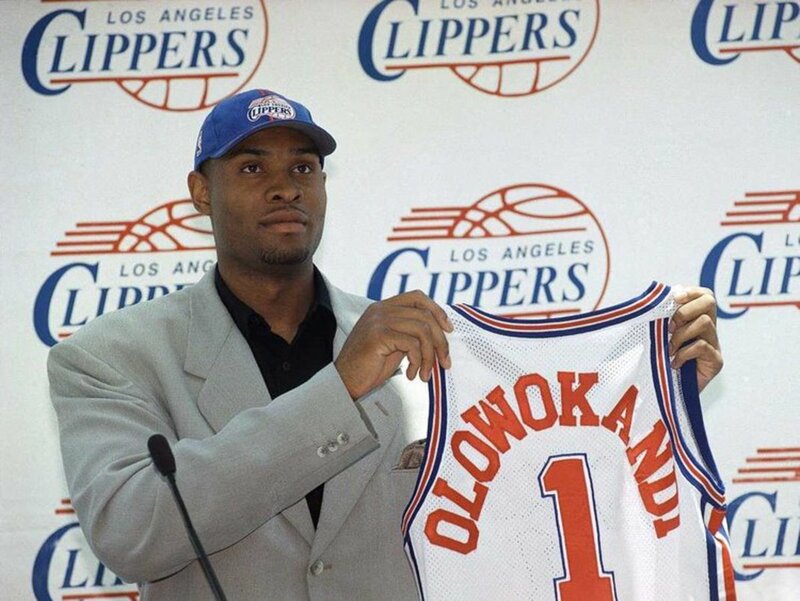 Michael Olowokandi was part of a stacked 1998 draft that included notable players such as Mike Bibby, Dirk Nowitzki, Jason Williams, Larry Hughes, Paul Pierce, Ricky Davis, Vince Carter, Antawn Jamison, and Rashard Lewis. While being picked ahead of a great player such as Vince Carter or Dirk Nowitzki is a cause for scrutiny, being picked first overall in this stacked draft just aggravates the situation. In college at Pacific, Michael was certainly no scrub. In his senior season, he averaged 22 PPG, 11 RPG, and 3 BPG. The Clippers were awed by these numbers and selected him first overall. They projected him as a potential double-double machine. But it never happened as Michael only average double figures in his fourth and fifth season with the Clips. He never averaged double digits in rebounds when he was in the squad. Olowokandi then signed with the Timberwolves where he toiled for two seasons. He was oft-injured and showed hardly any improvement from his Clipper days. He would then spend the rest of his career in Boston and with Minnesota again. He would start some games but would ride the pine most games. He never developed into the powerhouse center he was projected to be. 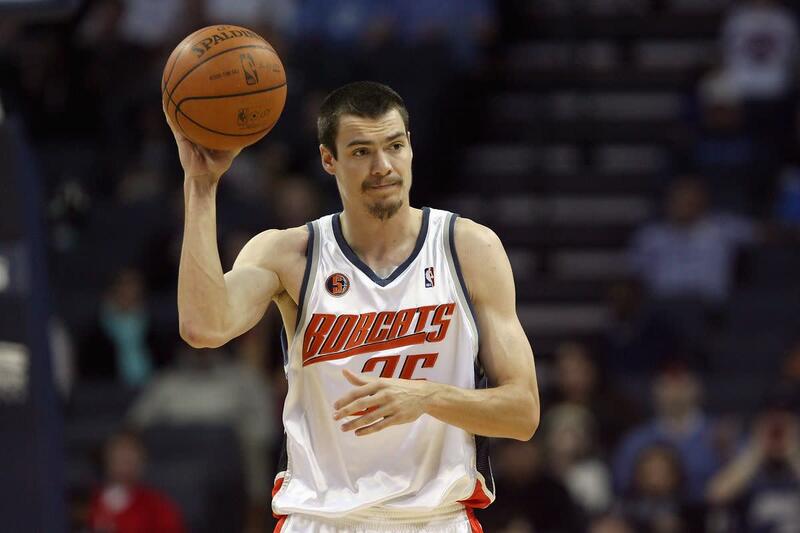 Adam Morrison was a highly touted player on the Charlotte Bobcats. Adam was another Michael Jordan pick that flopped. Michael Jordan may have been the greatest basketball player ever but in no way is he the greatest general manager ever. He has a long way to go before he becomes the next Jerry West, Robert Canterbury Buford or Danny Ainge. Morrison was a collegiate star for Gonzaga: John Stockton's college. Morrison led the nation with a 28.1 in his junior year and was a highly coveted prospect. He drew comparisons to Celtics legend Larry Bird. At 6'8" and slightly above 200 lbs, Morrison was a sweet shooting big man who could shoot the lights out from any distance. Adam's inaugural season was promising as he average 11.7 PPG. He, however, had a low shooting percentage and low rebounding and assist totals. He was also not a very good defender. Hopes that Adam would breakout in his second season were dashed when he suffered an ACL injury in the preseason game against the Lakers. He would go on to miss the entire season. Adam came back in the 2008-09 season but was never the same player. His already horrid shooting dipped even further, and he only averaged 4.5 PPG. Morrison and Shannon Brown were then traded to the Lakers for Vladimir Radmanovic. He would spend two seasons there and ride the pine while winning two championships. After his Lakers stint, Morrison would play overseas. He tried to come back and was signed by the Portland Trailblazers but was waived shortly after, thus ending his NBA journey. Who is the worst draft bust? Sometimes teams believe the hype. Bennett was compared to Larry Johnson who was a star player before injuries took their toll.